We slept in today. And by sleeping in that is 7:45 a.m. We are usually up by 6:00 a.m. Maybe it has something to do with the time change? Needless to say I didn't even hear my husband get up for work, shower, be LOUD in the kitchen, or anything. It feel good. Although, I did wake up in a panic - thinking what time is it, why is the house so quiet, why isn't little man up yet, etc. But, all was well! Sure beats my old job when I was leaving the house each morning at 6:20 a.m. and not returning sometimes till after 6:00 p.m.
And thanks for your "spice rack" suggestions yesterday! I'm tackling that cupboard today (I promise). Okay, so I first saw this recipe for Homemade Pumpkin Butter on Iowa Girl Eats last fall. It looked so easy, and since it was homemade it didn't contain all that other crap you get when you buy a jar of pumpkin butter. Guess what? I had never even had pumpkin butter before, but it looked so good, I decided to make it. 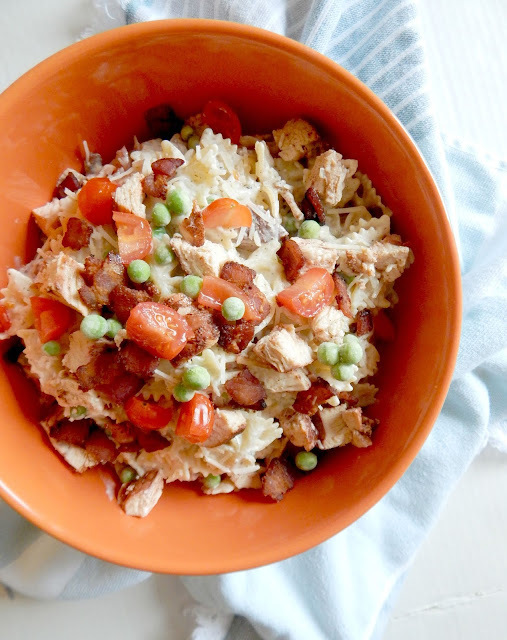 Combine all ingredients in a small crock pot and stir to combine. Cook on high for 1 hour. Then turn down to low and cook for an additional 3-4 hours, stirring every hour, until the mixture is reduced by a 1/3 and it is dark brown in color. Allow to cool, store in an airtight container and keep in the fridge. Mine stayed good for about 3 weeks, at which point I had eaten it all. Great spread on toast, bagels, fruit, in yogurt or oatmeal. I even mixed it one day with my peanut butter on my toast, which turned out to be a stupendous idea! I could browse the jams, jellies, butters, etc. all day long! Wow that looks good! I've never had pumpkin butter! I looooove the home made stands. They always have THE BEST pickles in the world. I'm a pickle whore. I LOVE pumpkin butter! My favorite way to eat it is with peanut butter on toast. I have a recipe from Recipezaar that I make all the time, but Iowa Girl's looks good to, I'm going to have to try it. You must have worn out the little man yesterday from all the housework! I have my spices in baskets, standing up and write the names on the lids (on black lids I use a small white sticker). Two of the baskets are kind of sorted like your blog name, sweet and savory. Third basket is everything else. Works pretty good until the husband messes with it! The farmers market is pretty much my favourite place to be! The pumpkin butter looks amazing! Kristen, no it doesn't have a grainy texture at all...very smooth. That looks so healthy, having a healthy sweets can really save you from diabetes. I bet some of the ingredients are also found in the spice rack. I loooove little homemade treats from the Farmers Market :). Hopefully one day I will have time to make my own specialty but until then those do just fine! Absolutely have to make this! Great idea and sounds delicious! Yummm. pumpkin butter sounds very good. I have not had the pleasure, but I'll wager it's delicious! Yummy. Your pumpkin butter looks and sounds very good. 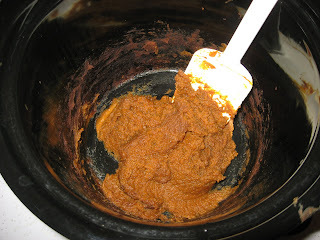 Here's another recipe for your reference at http://desigrub.com/2010/03/crockpot-pumpkin-butter/ . I would love to hear comment back from you on this pumpkin butter recipe. The homemade stands are wonderful - there are so many amazing things. Your pumpkin butter looks absolutely delicious too!